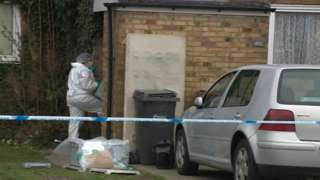 A paramedic called to treat a notorious criminal gunned down in his garden in Essex raised doubts about the cause of his fatal injuries, a report said. John "Goldfinger" Palmer, who previously ran a jewellery business in Bristol and lived in Bath, was initially thought to have died from natural causes in 2015. It took a week to establish he had been shot six times. A case review revealed a paramedic told police he doubted the conman's wounds were from recent keyhole chest surgery. 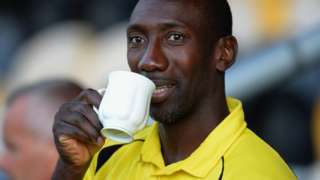 But police officers at the scene were "not concerned", the report said. M25 Essex clockwise severe disruption, at J31 for A1306 affecting J29 for A127. M25 Essex - Queuing traffic for five miles on M25 QE2 Bridge clockwise at J31, A1306 (West Thurrock), because of an earlier broken down vehicle. Travel time is about 20 minutes. Congestion to J29, A127 (Romford). The bricks came down during last month's Storm Doris. M11 Essex southbound severe disruption, between J8 for A120 and J7 for A414. M11 Essex - Lane closed and slow traffic on M11 southbound between J8, A120 (Bishops Stortford) in Birchanger and J7, A414 (Harlow) in Hastingwood, because of a broken down vehicle. Officers say the 19-year-old died at the house in Chelmsford following reports of a fight. M25 Greater London clockwise severe disruption, at J28 for A1023 Brook Street. M25 Greater London - One lane closed and slow traffic on M25 clockwise at J28, A1023 (Brook Street Roundabout), because of a broken down lorry. M11 Essex - One lane closed on M11 southbound between J8, A120 (Bishops Stortford) and J7, A414 (Harlow), because of a broken down vehicle. Traffic is coping well. A414 Essex westbound severe accident, between Canes Lane and Hastingwood Road. A414 Essex - A414 Canes Lane in Hastingwood closed westbound between the Canes Lane junction and the Hastingwood Road junction, because of a multi-vehicle accident. 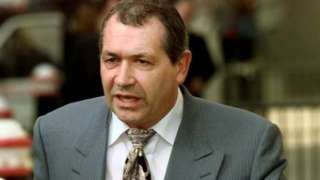 A case review reveals a paramedic doubted the notorious criminal's wounds were from recent chest surgery. Solihull hit back from three goals down inside the first 25 minutes to earn an incredible draw against Braintree. Billy Bodin and Rory Gaffney score the goals as Bristol Rovers beat Southend to boost their League One play-off hopes. Portsmouth boost their hopes of automatic promotion from League Two with an impressive win at play-off chasers Colchester. 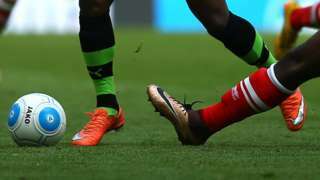 Strange red cards, a penalty hero and Burton breaking new ground - BBC Sport rounds up Saturday's Football League action. M11 Essex northbound severe disruption, between J6 for M25 and J7 for A414. M11 Essex - One lane closed on M11 northbound between J6 M25 and J7, A414 (Harlow), because of a broken down vehicle. Traffic is coping well. M25 Essex anti-clockwise severe disruption, between J27 for M11 and J26 for A121. M25 Essex - One lane closed on M25 anticlockwise between J27 M11 and J26, A121 (Waltham Abbey), because of a broken down vehicle. A11 Cambridgeshire southbound severe disruption, between A1307 Cambridge Road and M11 J9. A11 Cambridgeshire - A11 closed southbound between Four Went Ways in Babraham and the M11 J9 junction in Great Chesterford, because of roadworks. A127 Essex southbound severe accident, between Priory Crescent and B1015 West Street. A127 Essex - A127 Victoria Avenue in Southend-On-Sea closed and queuing traffic southbound between the Priory Crescent junction and the B1015 West Street junction, because of an accident. Farewell from the BBC Essex Local Live team for this week. We'll be back again on Monday with all your news, sport, weather and travel from 08:00. Scroll down for more... and have a great weekend. A football club has given its backing a campaign to build a new A120 dual carriageway. The consultation on the route options for the A120 between Braintree and the A12 closes on Tuesday. There are five proposed options. The campaign has won support from Colchester United 's head coach John McGreal and current captain Chris Porter. Matt Hudson, the club's media manager, said: "We were pleased to be able to back the campaign. "The club has a great location adjacent to the A12, which has helped us build a strong business over the last nine years, and efforts to improve other parts of the road infrastructure can only be of benefit to the stadium, our business visitors and match-day supporters." It will be a largely cloudy night with some patchy mist, fog and drizzle. It will also be very mild, with lows of 7C (45F). Any mist and fog will clear on Saturday morning and, after a mainly cloudy start, we should see some brightness and sunshine developing. In the best of any sunshine, temperatures could climb as high as 18C (64F). There'll be a light wind between the south-west and south-east. Find the latest weather where you live on the BBC Weather website .